Here at the Carriage House Inn, we strive to make breakfast a special part of the day! Our Rates include a full hearty breakfast, served between 7:30 and 9:00 am. (Earlier with advance notice) Simply make arrangements with us by the previous evening. We will be pleased to accommodate any special dietary requirements, with advance notice. Did you have a special breakfast with us, and you’d like the recipe? Below you will find some of our favorite recipes, both for breakfast and for other sweets and treats. If you don’t see the recipe you want here, just “Leave a Reply” to this post, and we’ll do our best to post it for you. We’d also love to hear about your favorite breakfast or treat recipes so that when you come to stay we can make you feel right at home! Post your recipe as a reply to this post and share it with us! This entry was posted in Home Cooking Recipes by Jerry Karczewski. Bookmark the permalink. 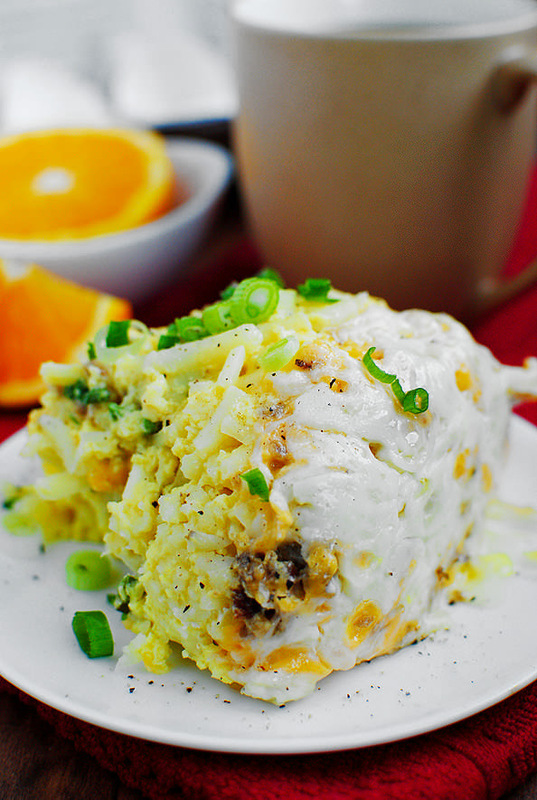 Crock Pot Breakfast Casserole is an incredibly easy and crowd pleasing breakfast! Spray a large crock pot with non-stick spray then place half the hash browns into the bottom. Layer in half the cooked sausage, half the cheeses, and half the green onions, then repeat hash brown, sausage, and cheese layers. In a large bowl, whisk together eggs, milk, salt, and pepper, then drizzle over top. Cook on high for 4 hours, or low for 8 hours, or until eggs are set. Serve with remaining green onions, salsa, or guacamole.